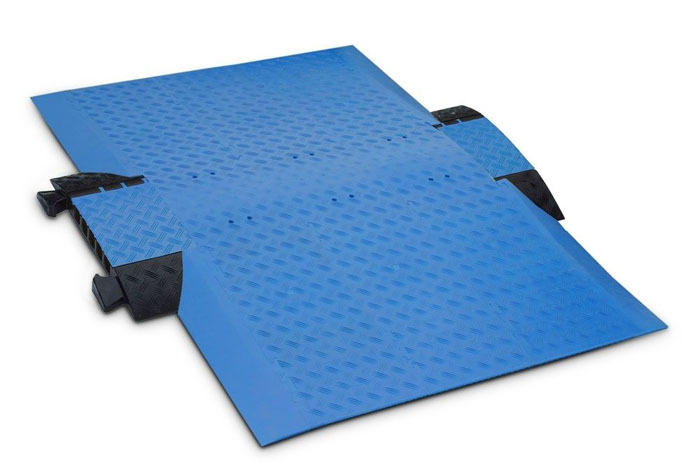 Whether you are looking for a heavy duty cable guard, durable cable cover or lightweight cable floor protector, we are guaranteed to have the right products to suit your needs. 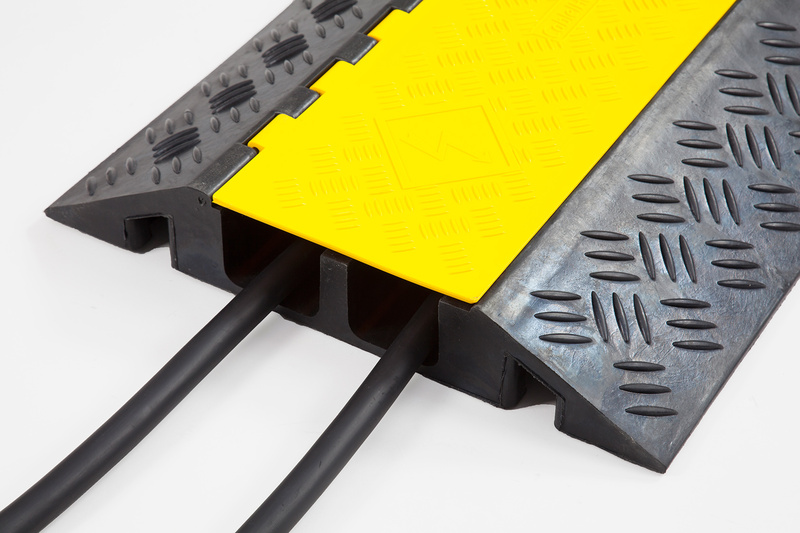 Our heavy duty cable protectors have been designed for use in industrial environments and with a capacity of up to 18,300kg per axle, these specialised covers will reduce wear and tear on all your electric cables and hoses. 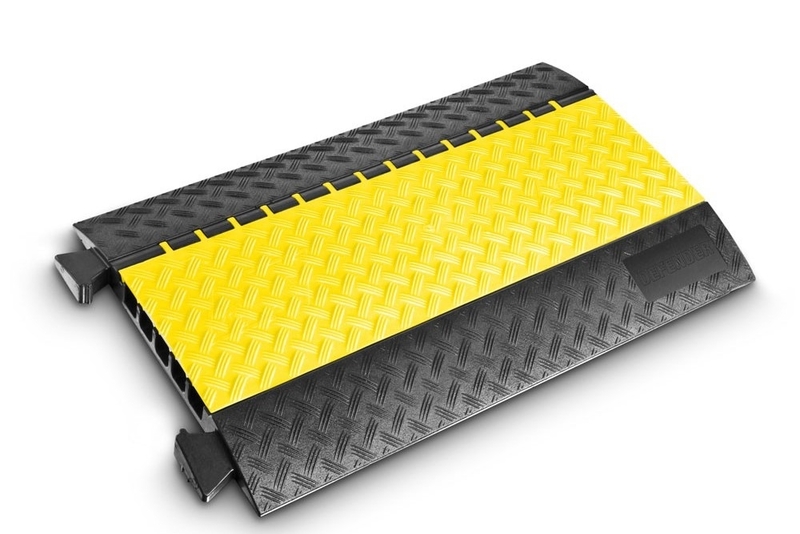 Designed and built with the highest quality materials, this selection of black robust cable tidy come with a high-resistance non-slip surface. 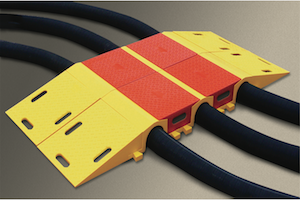 The newest addition to our cable cover collection is our range of Checkers Industrial cable protection systems. In stock we have both 3 and 5 channel solutions including the Linebacker and Guard Dog. 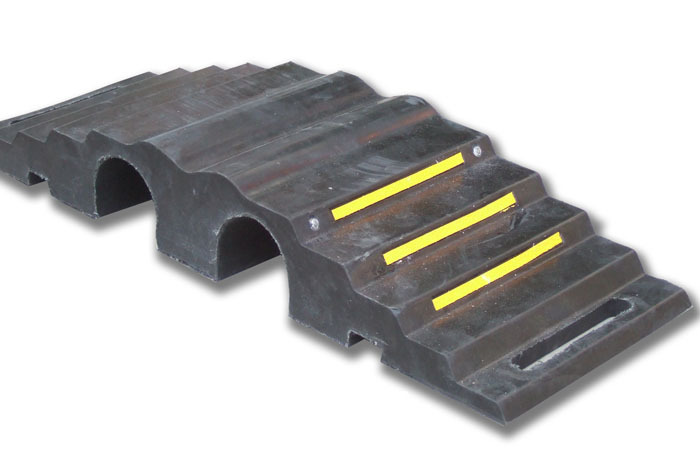 Ideal for industrial environments and use around heavy operating machinery, the Linebacker has hinged lids and end caps which offer a secure and safe crossing for vehicles and pedestrian traffic. Amusement parks, festivals and sporting events are always packed with electrical equipment and frequent foot traffic, so health and safety for the public and staff will be of paramount importance. The Guard Dog cable tidy is the perfect heavy duty protection for such environments. 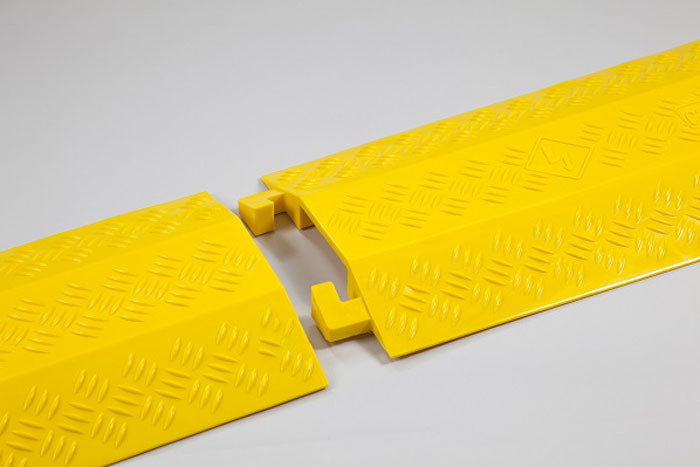 This product provides the same great protection for your wires and cables as The Linebacker - using its hinged lid, you can provide a safe crossing for pedestrians and vehicles in all weathers. 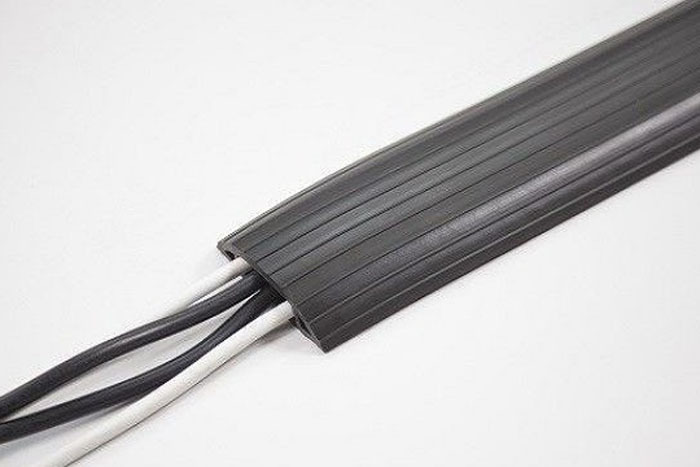 Take a look at our classic premium & economy lightweight rubber cable protector range; the ideal solution for exposed wires and cables around the home or office. Our simple cable ramps are low rise, highly flexible and allow pedestrian foot traffic to pass over without visible or physical disruption. 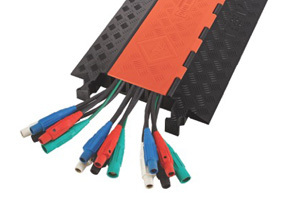 For multi-use in almost all environments, you can use this affordable solution for indoor or outdoor cable protection.